One hundred years after the first performance of George Bernard Shaw‘s “Pygmalion,” theaters still perform it, evincing the enduring popularity of Shaw’s influential play. Shaw’s play, with a professor (Henry Higgins) instead of a sculptor and a live person (Eliza Doolittle) instead of a block of stone, also includes the notion of a man creating his ideal woman. Rather than focus on appearances, Henry Higgins uses language as the means to transform Eliza. Shaw’s “Pygmalion” inspired a motion picture with the same title and a musical, “My Fair Lady,” that also became a film. 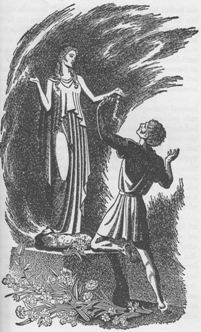 Do you know of other stories that use the “Pygmalion” motif? Tell us in our “comments” section.